Taipei, July 16 (CNA) The Foreign Ministry urged Japan Thursday to support the East China Sea Peace Initiative presented by president Ma Ying-jeou（馬英九）in August of 2012, and duly assume its international responsibilities and contribute to the promotion of the stability and prosperity of the international community. Commenting on the approval of controversial legislation on defense by the lower house of Japan's parliament earlier Thursday, Anna Kao, spokeswoman of the ministry, said that the passage of the bill, which would allow Japanese troops to fight overseas for the first time since the end of World War II, will have an impact on regional security and peace. "The government of the Republic of China hopes that Japan can duly assume its international responsibility, respond to the peaceful spirit shown in the 'East China Sea Peace Initiative' and try to promote friendly relations with its neighboring countries by upholding the tenet of pursuing the peace, while taking an active attitude and apply forward-thinking to make contributions to the stability and prosperity of the international society," Kao stressed. In light of increasing tensions in the East China Sea in 2012 over the sovereignty disputes on the Diaoyutai Islands, president Ma presented the peace proposal calling on all parties concerned to resolve disputes peacefully based on the United Nations Charter and relevant provisions in international law and promote joint exploration and development of the region's resources. 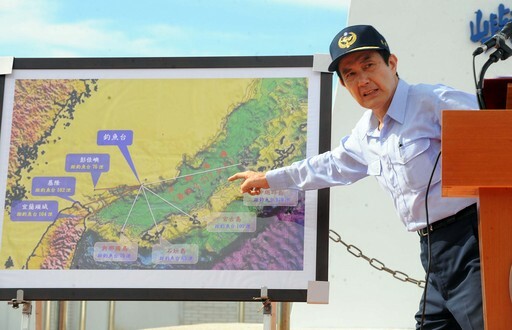 Diaoyutais when unveiling the East China Sea Peace Initiative on Sept.